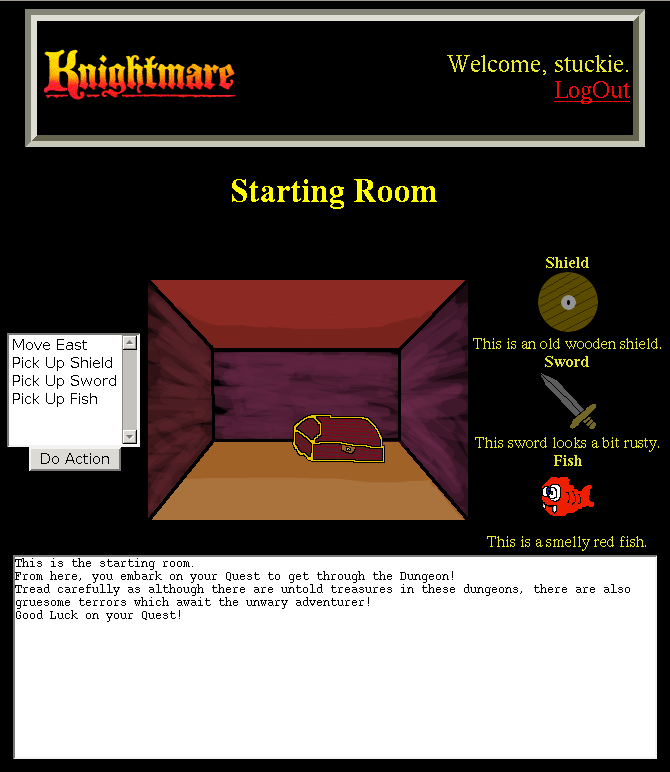 Knightmare was created for the Online and Mobile Games coursework in Third Year. 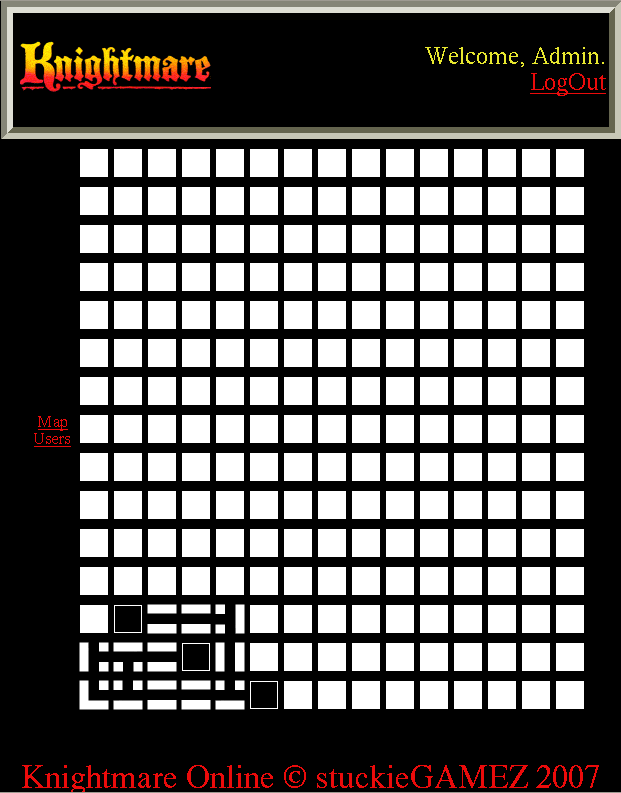 My idea was to make a sortof Dungeon Master clone and play it through a browser. And as the coursework required us to pick a TV game show, I thought Knightmare would make an interesting game! It was one of the more ambitious coursework games that were created for that module, and came with an online editor for admin use as well. The full source code is available along with a test database to get started with. You’ll require a webserver with PHP and a MySQL database to use it. Unfortunately, I don’t have it running on my webserver any longer, and the code does need updated to the recent PHP revisions. I just don’t have time to do it, unfortunately. Be sure to read the included readme file! This was written predominantly using KATE on Linux. Also, GIMP was used for the graphics. It was created for a coursework which I received a high A grade for. The engine itself, although needing a bit of work, is fairly solid so I may go back to it and re-do the game for something else as obviously, Knightmare is copyright and outside the context of an educational coursework, I can’t really use it!